What were the most popular names for girls in England during the 16th century? This was one of the questions examined by Scott Smith-Bannister in his book Names and Naming Patterns in England 1538-1700. The book examined what were the names that parents were giving their children during this period, why they choose particular names, and what trends emerged during the 16th and 17th centuries. 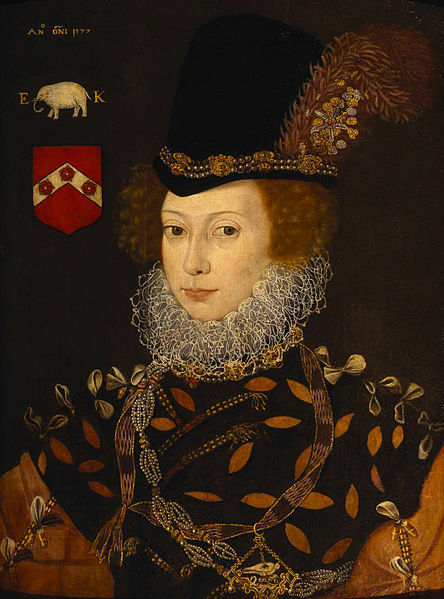 These results show that Elizabeth was the most popular name for girls in the second half of the sixteenth century, which perhaps is not too surprising considering England was ruled during this time by Queen Elizabeth I. The name Joan was also has strong popularity during the Tudor period, but as the decades passed this name became less and less popular – this downward trend would continue in the seventeenth century. Meanwhile, the name of Mary, while often in the middle range of the top 10 during the sixteenth century, would become more popular in the seventeenth century – by the 1650s it would replace Elizabeth as the most popular girls’ name.